You are approaching an intersection that has a red light camera. The lights turn yellow when you are too close to stop safely. The lights go red as you get to the other side of the intersection. Will you receive a penalty notice? You are approaching an intersection that has a red light camera. The lights turn yellow when you are too close to stop safely. The lights go red as you get to the other side of the intersection. Will you receive a penalty notice? A. No, because the camera only takes a photo if you cross the stop line after the lights turn red. B. Possibly, because you were in the intersection when the lights turned red. C. Yes, but a driver is entitled to advise the Police Service and have the case heard by a court. D. Yes, a fine will be issued. Correct. The camera is triggered by a vehicle entering the intersection when the lights have turned red. What is a red light camera? A red light camera is a camera on a pole mounted a few metres back from an intersection that takes a photo of vehicles that enter an intersection after the traffic light has turned red. For the camera to not be triggered, the vehicle must stop behind the white stop line, or already be fully in the intersection when the light turns red. The photo is taken of the back of the vehicle. 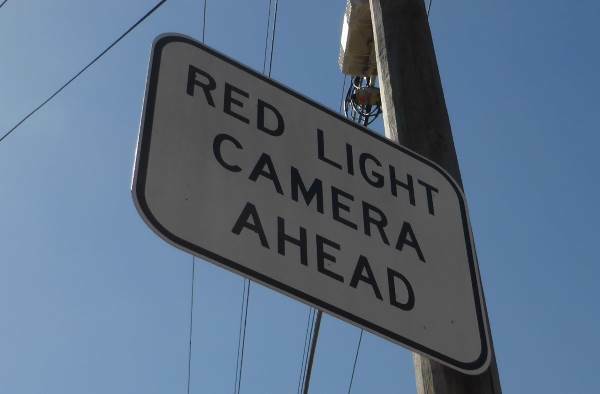 Red light cameras work by detecting when a car crosses the line while the light is red. You will sometimes see them flash if emergency services vehicles pass through a red light. 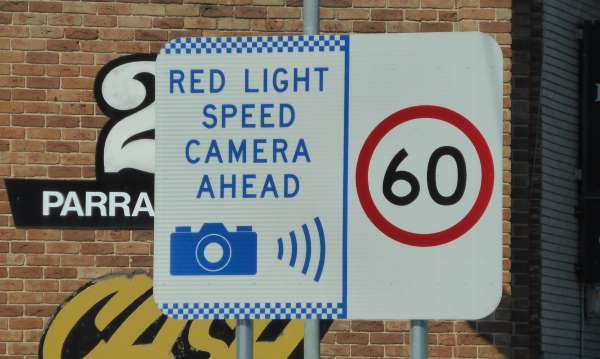 The speed cameras can detect speeding regardless of whether the lights are red, yellow or green. Advise the State Debt Recovery Office on a statutory declaration the name and address of the person driving at the time of the offence. The camera only takes a photo if you cross the stop line more than 0.3 seconds after the light has gone red. This means that if you have already entered the intersection on a yellow light, it won't trigger the camera. Heavy vehicle drivers must be aware that their trailers could trigger the camera. Two photos are taken. The second one is taken approximately one second after the first one and proves whether a vehicle continued through the intersection or just happened to not quite stop before triggering the camera. Police at the Traffic Camera Office determine whether an offence was committed. The date, time, lane position and amount of time the light was red for are imprinted on the photo. If the camera monitors speed, too, your speed and the local speed limit will also be provided. It's a $415 fine if you are caught on the camera. Running a red light puts other vehicles and pedestrians at risk. All speed cameras and red light cameras are tested and calibrated every year to maintain accuracy.